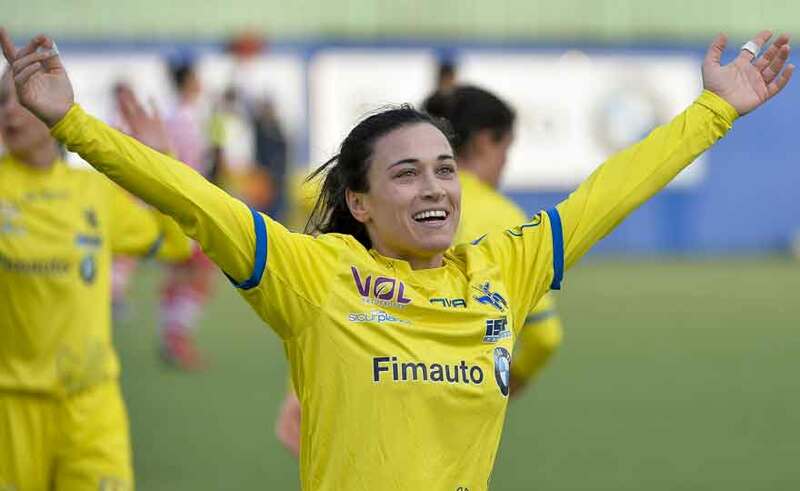 It was Valeria Pirone, ChievoVerona Valpo striker, who represented women's football last Thursday 4 April at the draw for the Football Tournament of the Universiade Napoli 2019. The native player of Torre del Greco boasts the highest number of appearances with the Neapolitan jersey and was chosen as the female testimonial of this multidisciplinary biennial event, reserved for university athletes from all over the world. The urn was not benevolent for our Italian representative, inserted in a group of iron together with the USA and the defending champion Japan. These are the considerations of the Gialloblu player: «Italy has probably found the two strongest formations of the tournament - Pirone commented - but for girls it must represent an incentive to give their best, given that in football it is precisely when we face the "big" who are stimulated to put in something more. My presence as a representative of the women's movement? I am clearly very proud to have participated in my Naples in the draw of a global event, second only to the Olympics for the number of disciplines involved ». An 2019 that becomes more and more a reference year for the growth of football in pink. "What we are gradually recognizing is what we should have always had - concludes the tip of Campania - the renewed competitiveness of the top flight, the World Cup and these Universiade are very important stages in a journey that we hope everyone can lead very far".